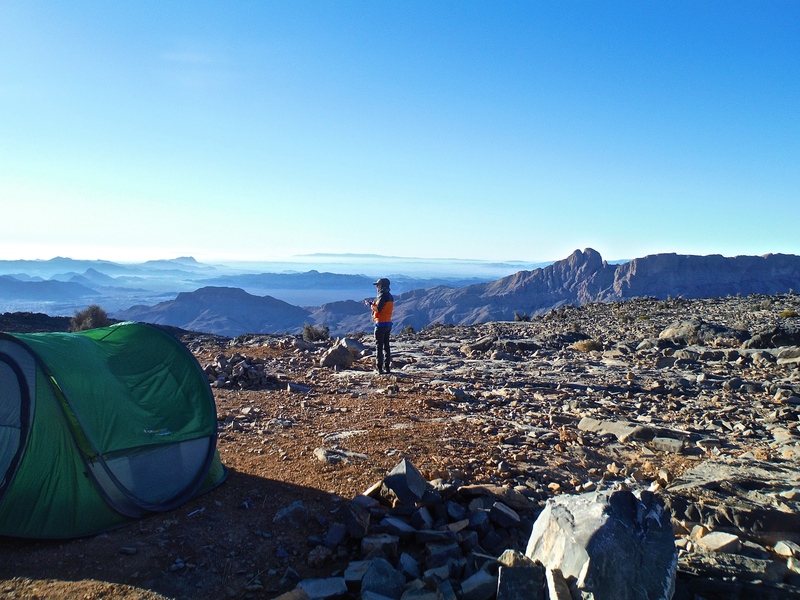 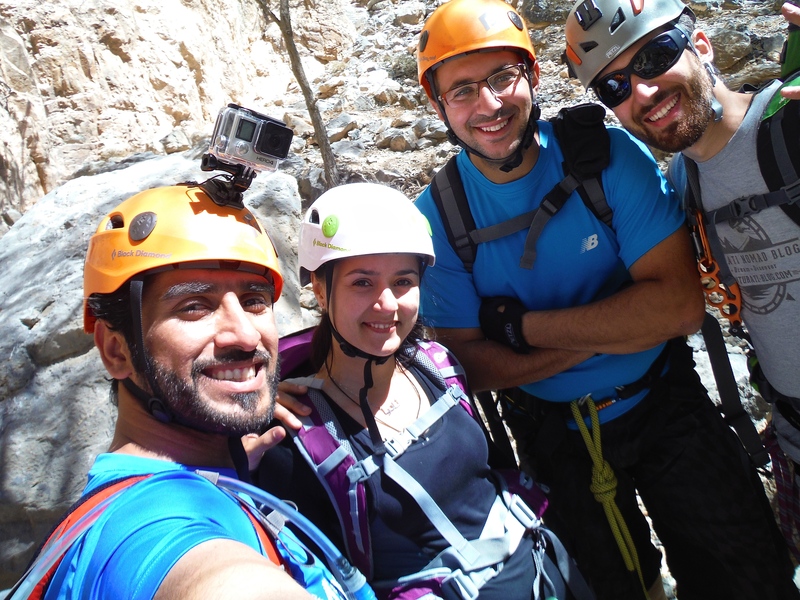 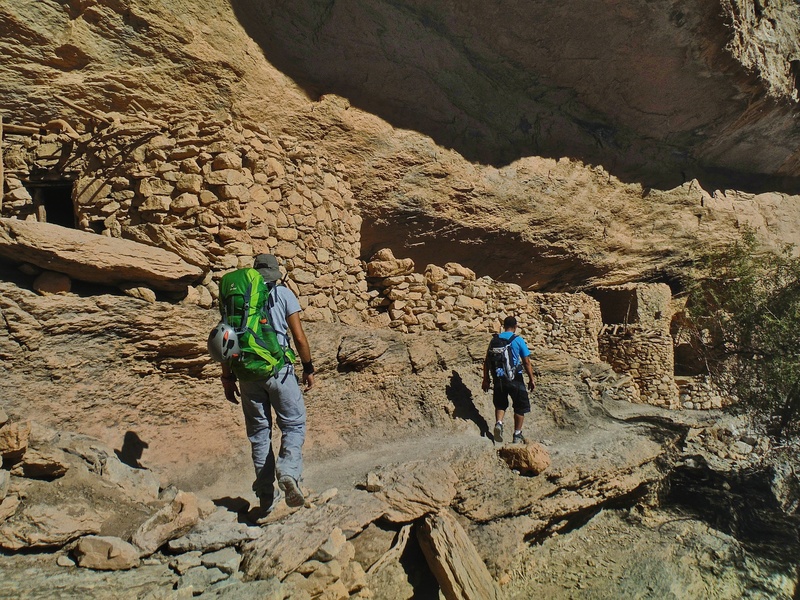 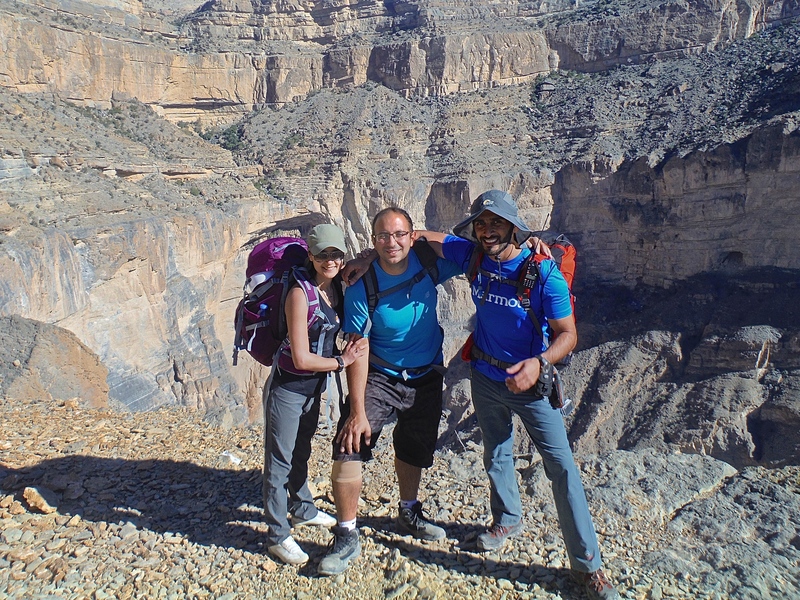 We started our trek from the village of Al Khitaym ( GPS UTM 520,615E 2,564,955N) a high level balcony walk to the abandoned village of Sab Bani Khamis almost a 2 hour hike with stunning views of the Grand Canyon. 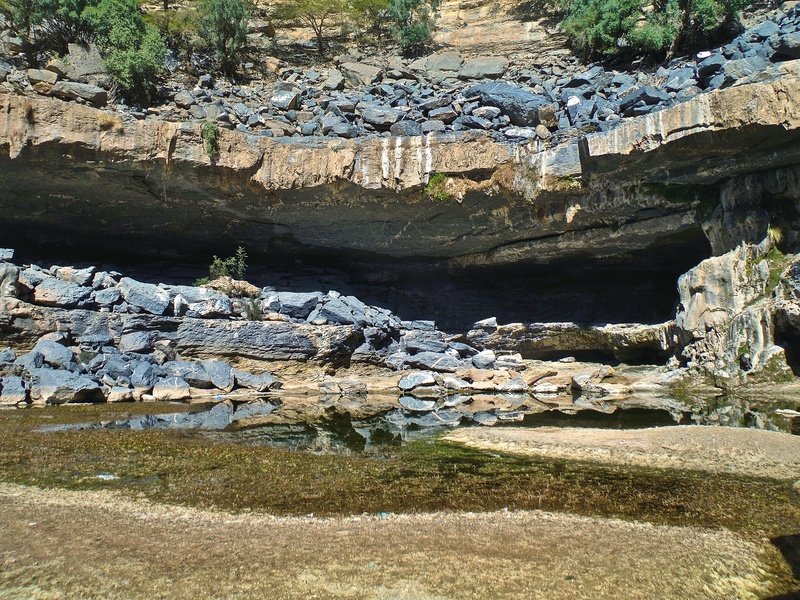 After Sab, an uphill walk leads to the start of the climb that is from Sab village you need to go towards the upper pool then head up the hillside to the right on a branch trail about 60m South West of the pool. 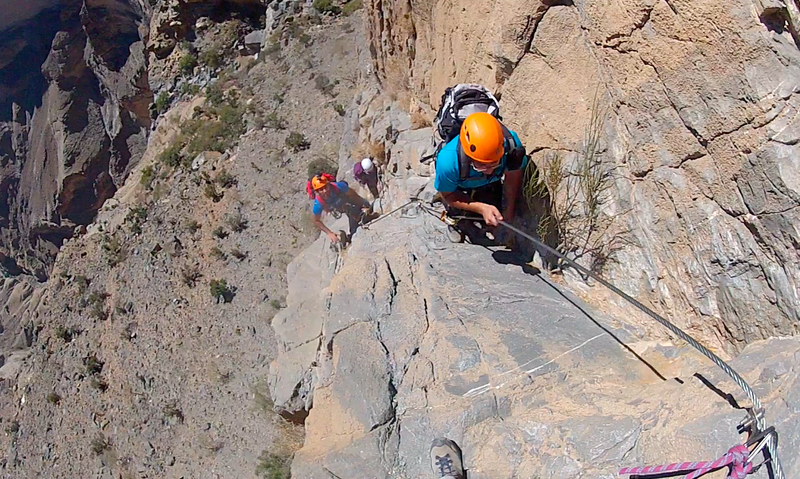 The start of the via ferrata is (23°13’11.12″N 57°12’29.67″E). 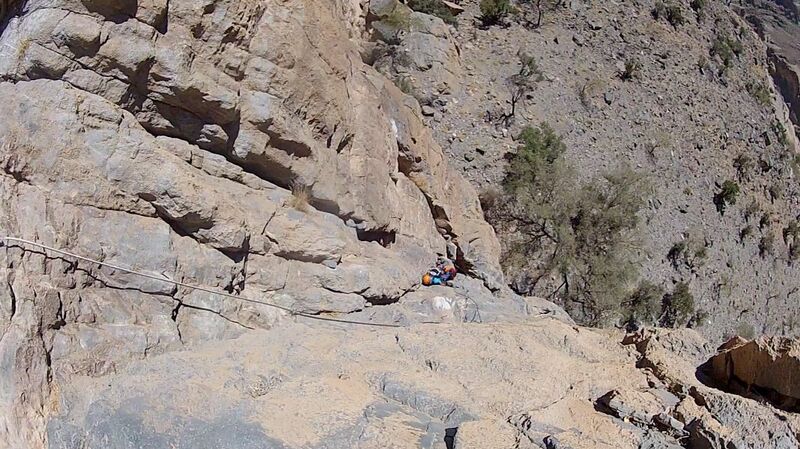 The lower part is a medium to difficult 80m vertical ascent. 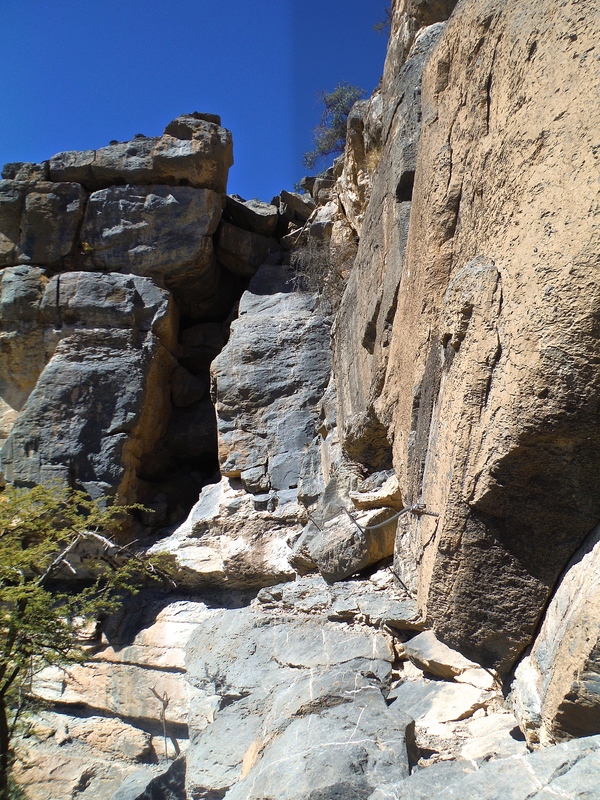 After reaching end point of first via ferrata head towards the left until you find your self above the lower pool.There you will find the second via ferrata. 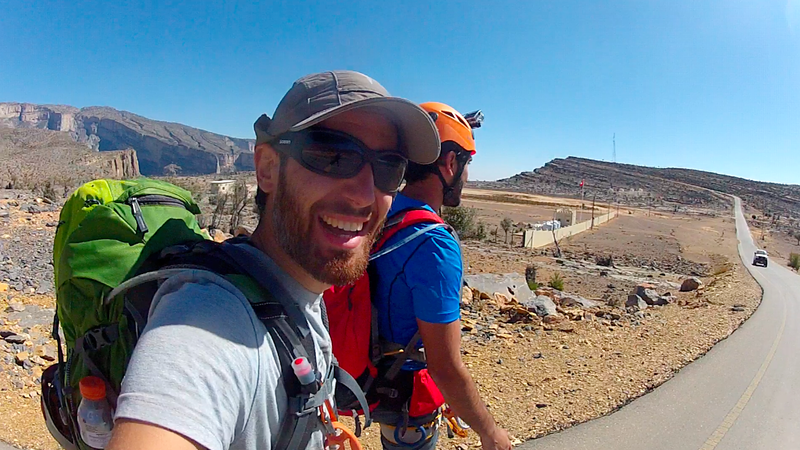 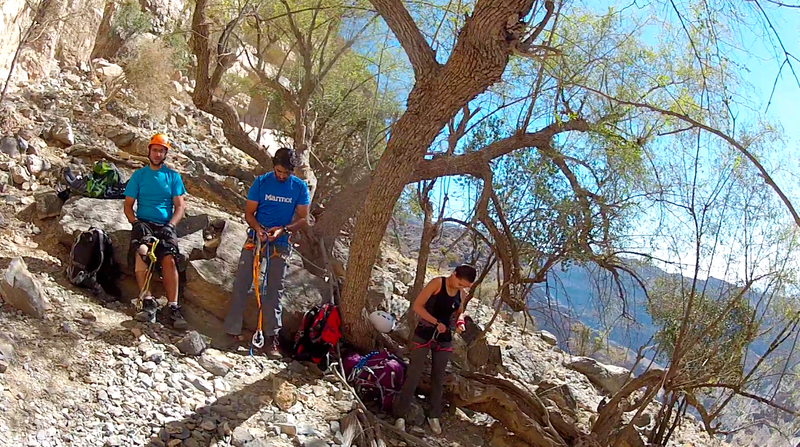 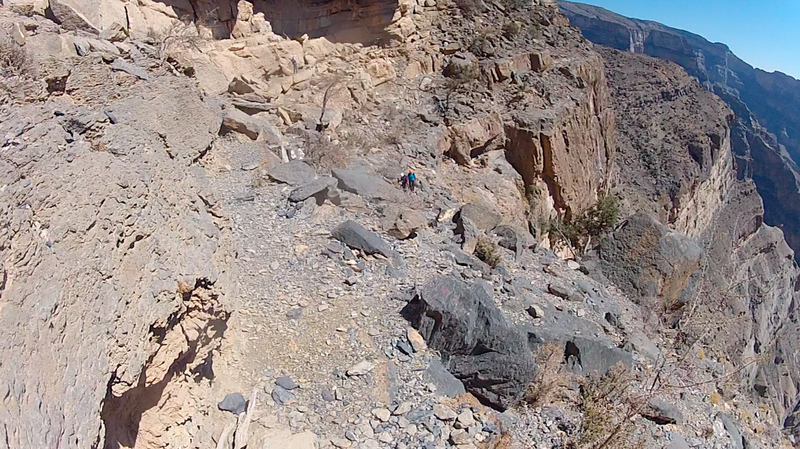 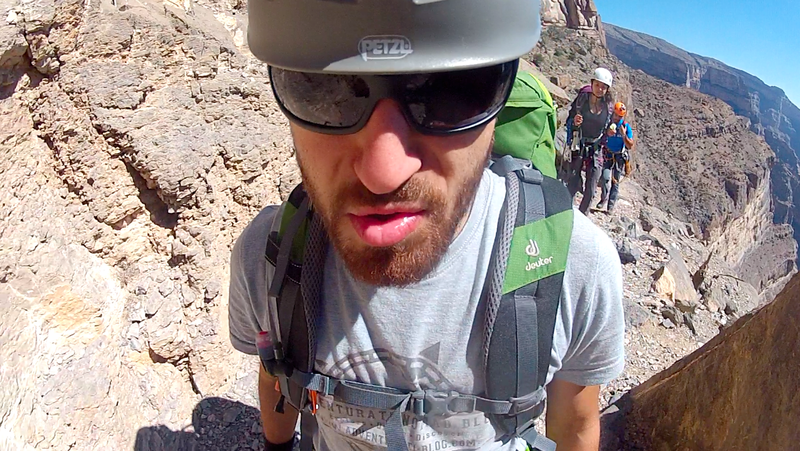 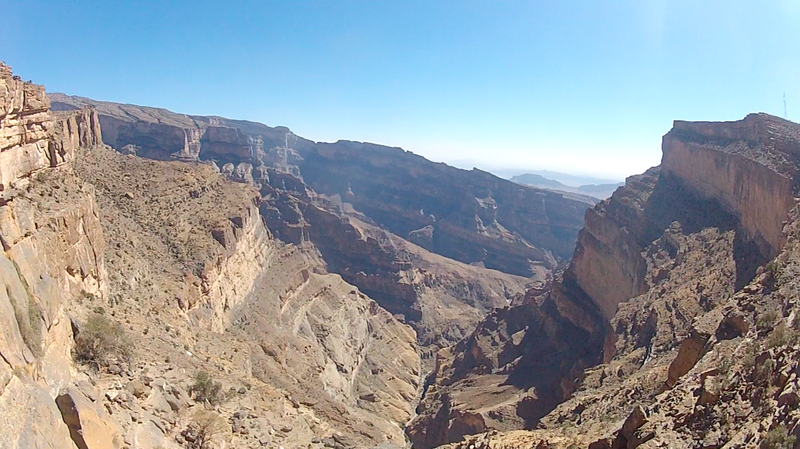 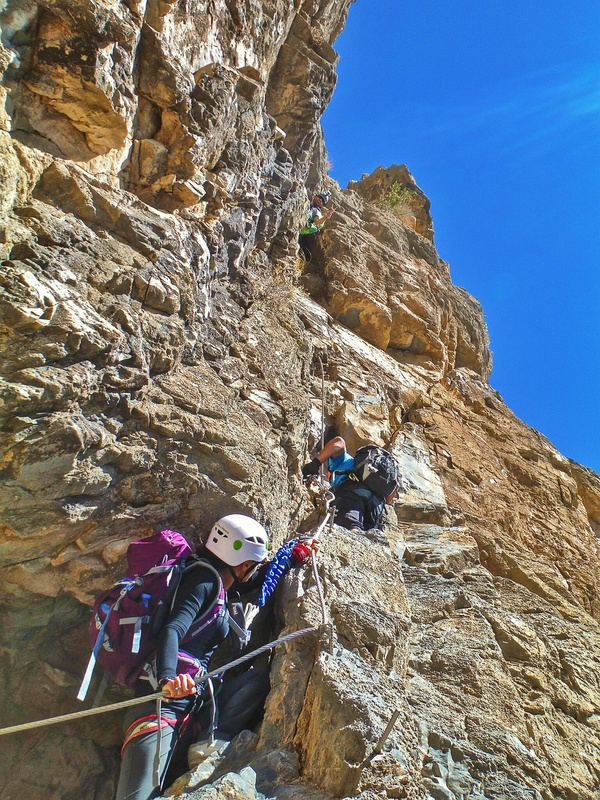 Following the short walking traverse, the easier upper climb leads out of the canyon via a wadi. 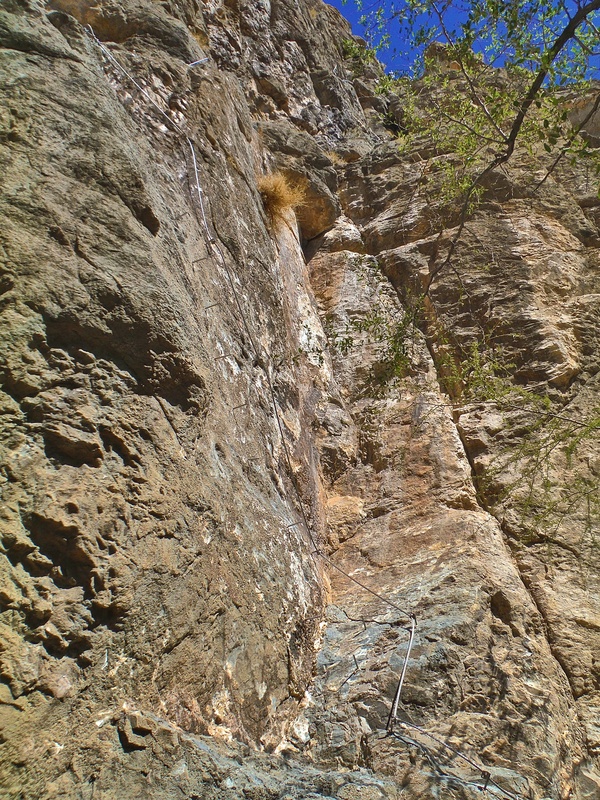 The climb itself takes around 2 hours. 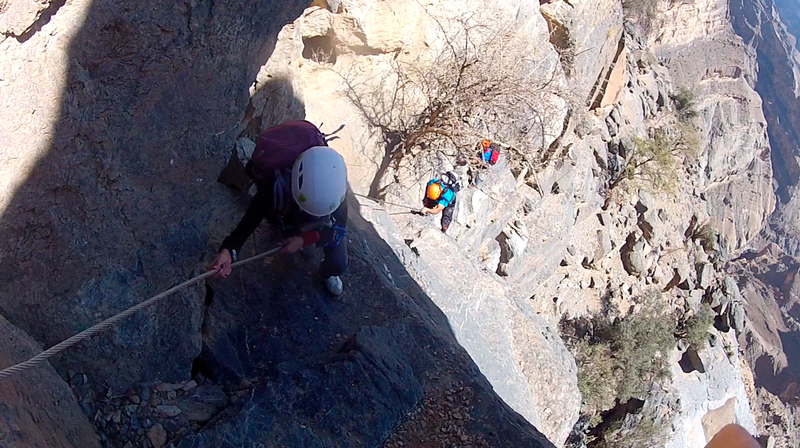 The top end of the via ferrata is (23°13’12.44″N 57°12’24.38″E). 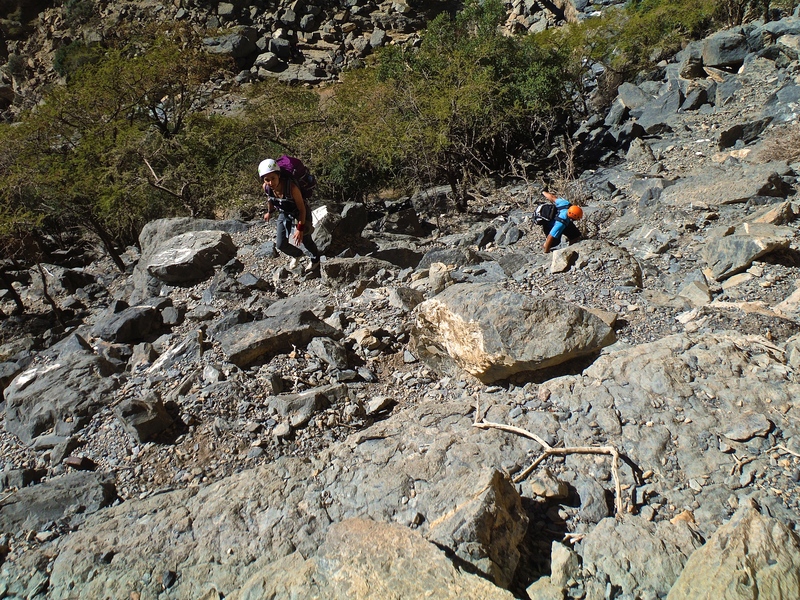 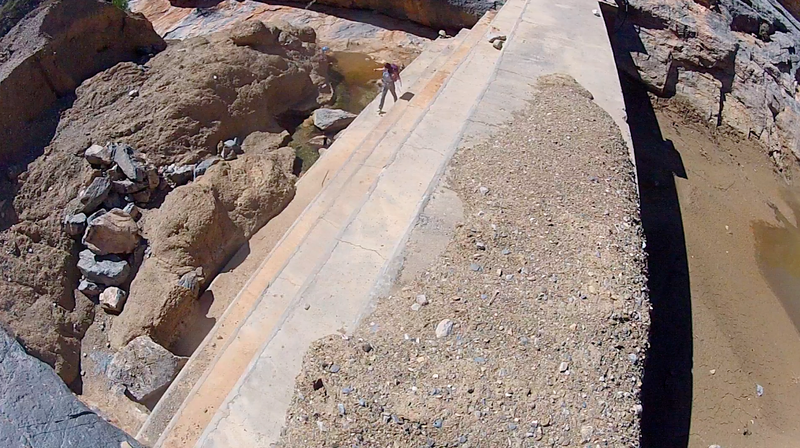 Once you are in the top wadi above the gorge head straight towards the water dam then take your left and walk upwards till you reach the main. 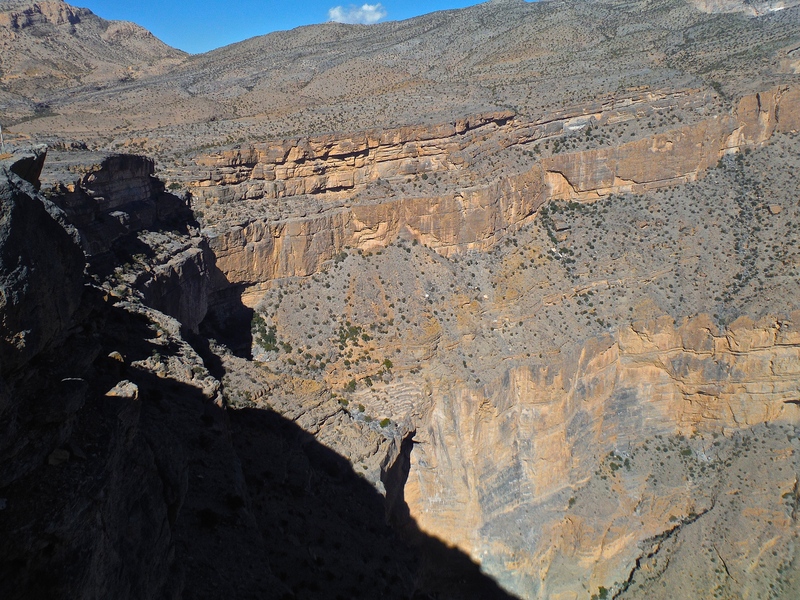 Its important to mention that the entrance from the the village of Khitaym and the via ferrata exit are far from each other. 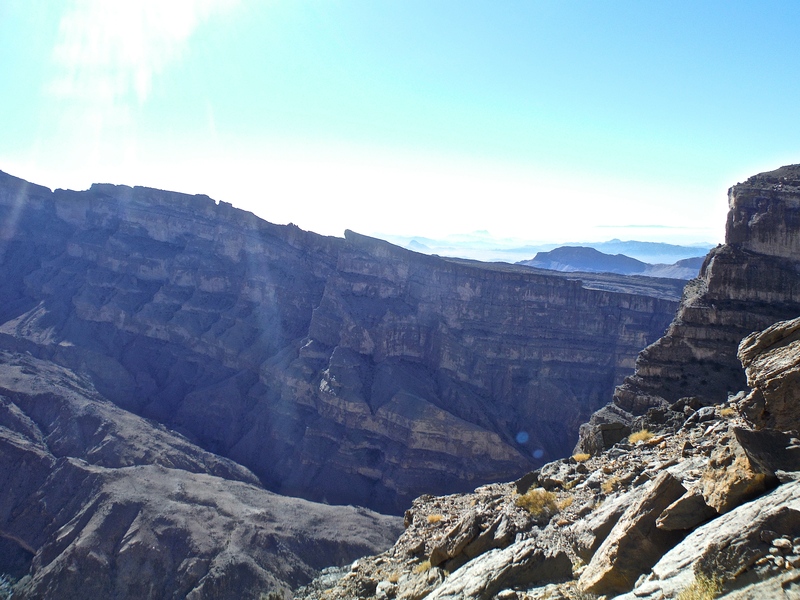 Plan ahead and park one vehicle at the exit (next to the white houses on the main road leading to the tourist view point balcony on the same main road leading to Jabal Shams Resort. 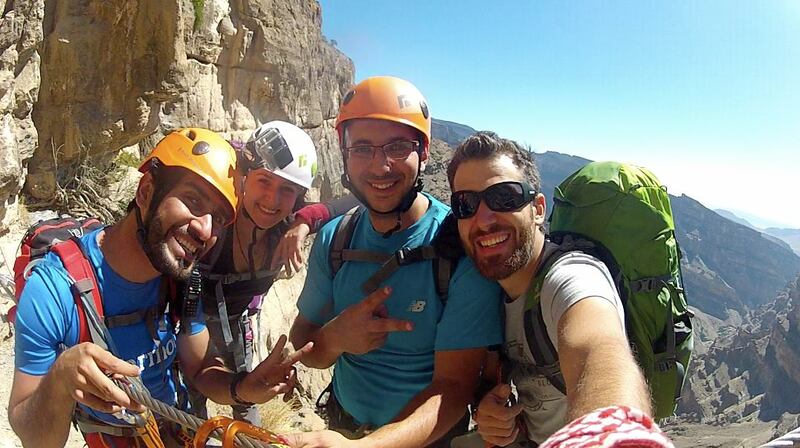 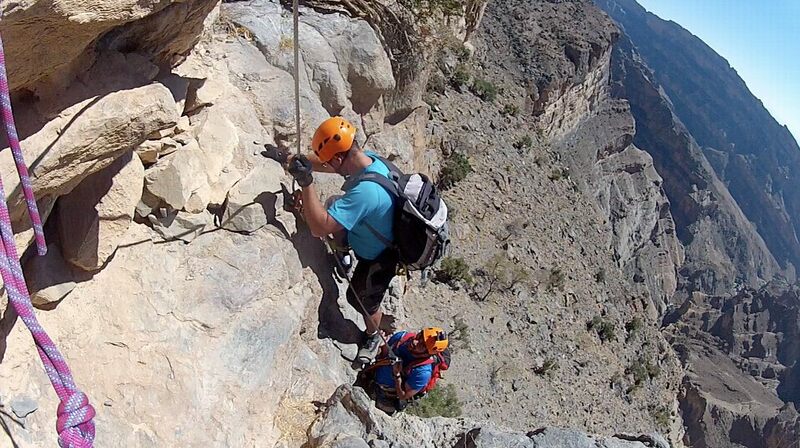 To climb via ferrata you need special via ferrata kit that will keep you safe should you fall. 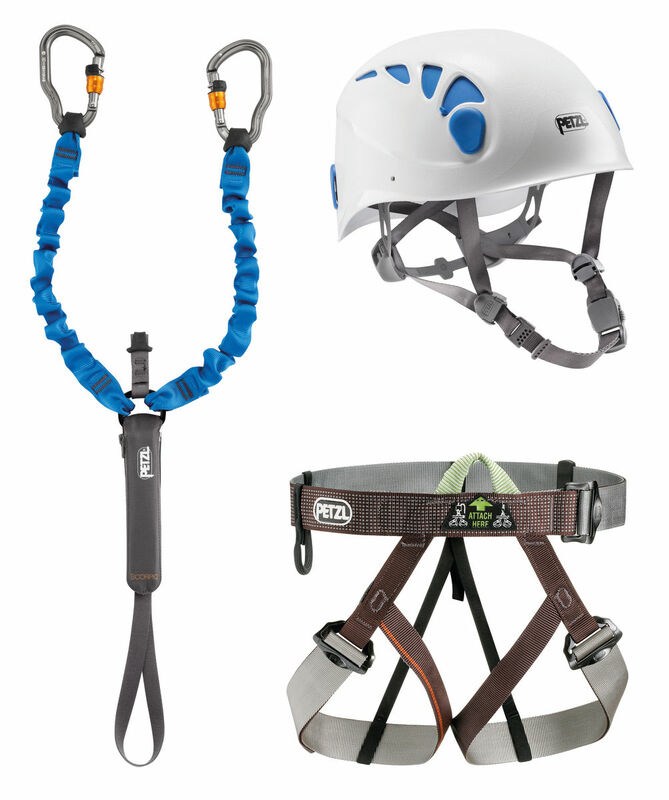 Two of the most common kits are manufactured by Pitzel and Black Diamond. 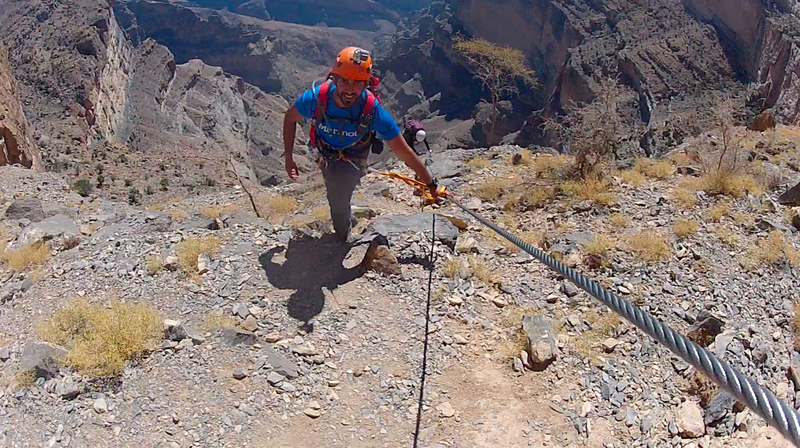 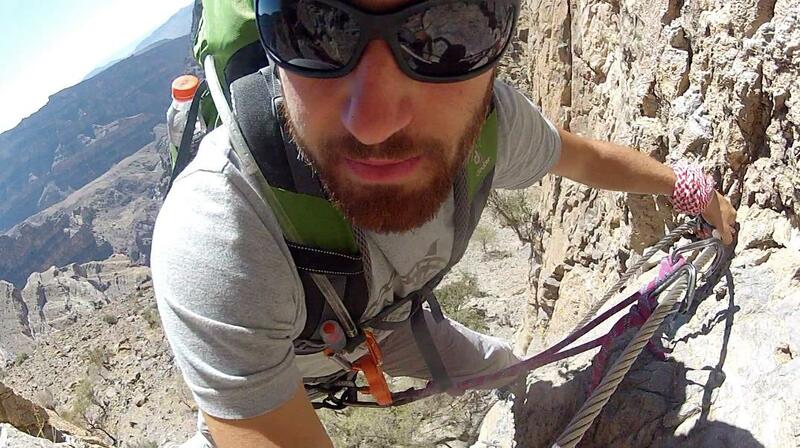 Full gear would include via ferrata kit, harness, and helmet. 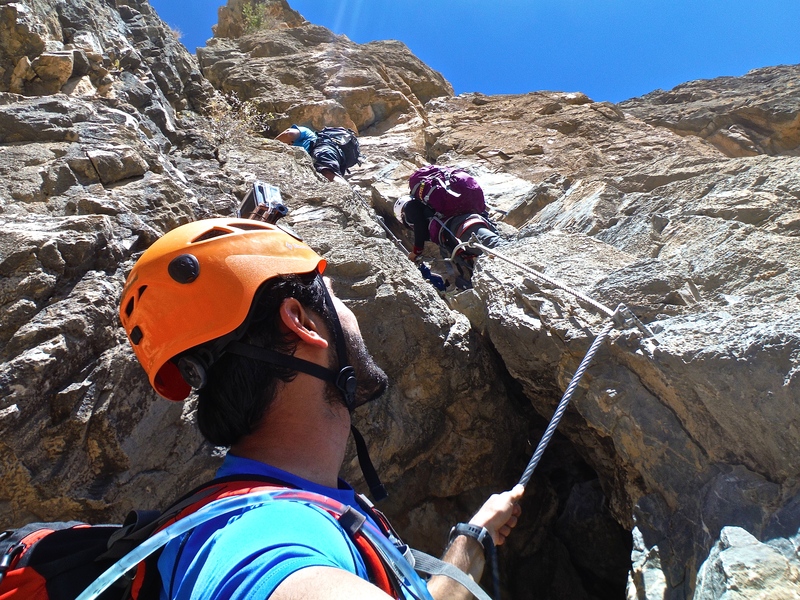 Make sure you pack light as carrying a heavy bag on your back will give you a hard time balancing your self while you climb specially through the tight corners. 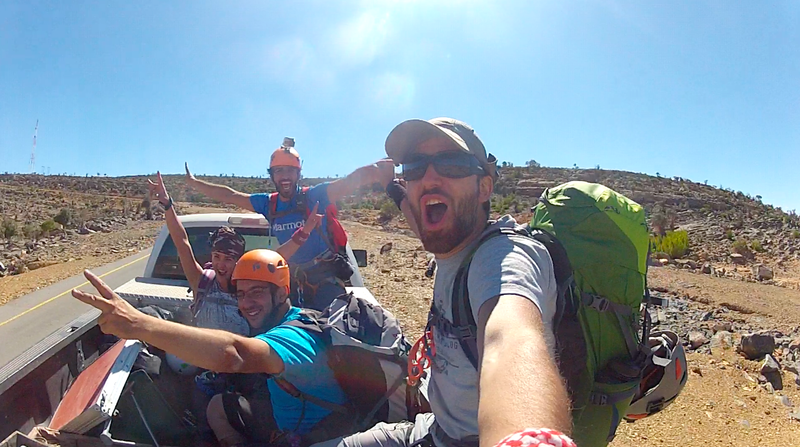 ← The Flight Academy Experience: Bounce!